The local water source described as the ‘swamp’. People come here to collect water and do laundry. Animals drink here, too. Water is brought to a calf so she may drink. Bringing a fresh water source to a village not only allows for clean water for its inhabitants, but also for livestock and crops (leading to a source of commerce for villagers as well as an improved food diet). 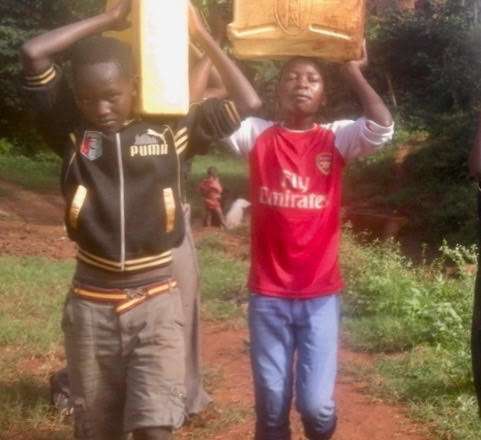 Children often have the difficult job of carrying heavy water long distances. 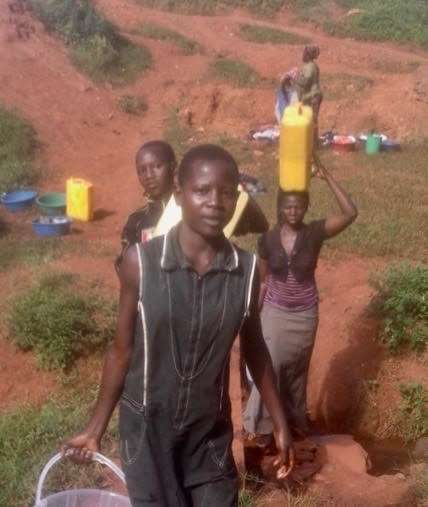 Women often bear the primary responsibility for carrying large heavy containers of water through difficult and often dangerous terrain. 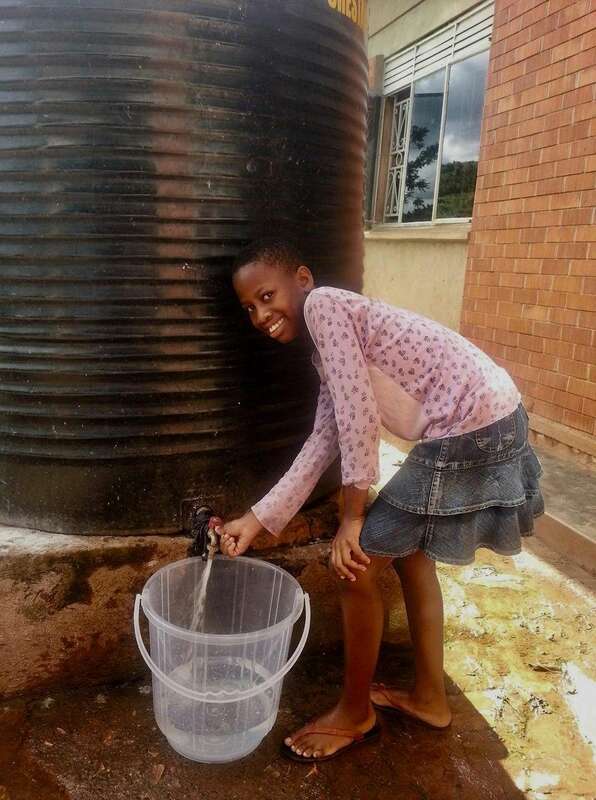 Joanna, 10 years old, drawing water from the underground rainwater cistern on the ministry property. It is used for all water needs. Many people are using this water as there are several programs going on year-round, and stored collected rainwater only goes so far. The largest of the three plastic rainwater storage tanks. Though the stored water appears clear, it is not safe to drink. The DHM uses chlorine tablets to sanitize the water. Also, during the dry season the water is rationed as there is little water. 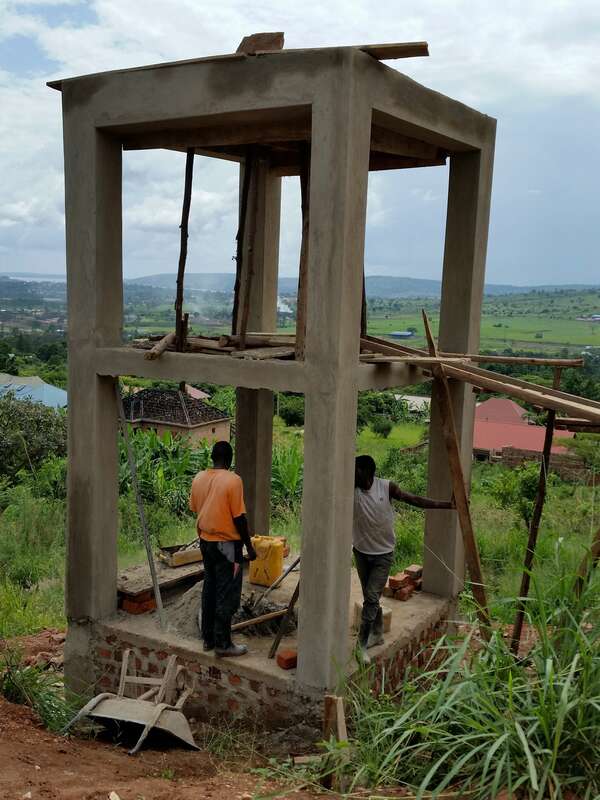 A well supported by a solar pump system and tank will be drilled and placed on the property of Divine Holistic Ministries in Njeru, Uganda. Njeru is the largest town in the Buikwe District in the Central Region of Uganda. Divine Holy Ministries employs a holistic approach in ministering to vulnerable women, children, and youth. 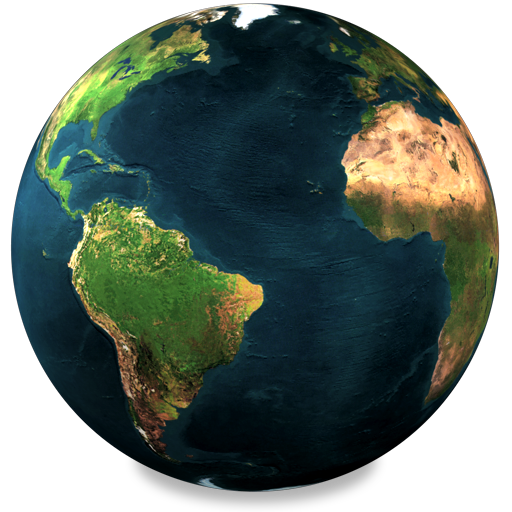 The community is very poor, with the average person living on less than a dollar a day. Farming is the main source of income and there is some small industry. This community has historically relied on rainfall for water. They collect and store rain water in plastic tanks which does not last through the dry seasons and therefore must be rationed. The local source of water is a swamp 3/4 mile away. Animals drink at the swamp location and the people obviously prefer to eke out their rain water supply to the last drop. The collected rainwater should be boiled (though not everyone does or can boil it) because it is usually not secure and becomes contaminated. Chlorine tablets are used sanitize the collected rain water. 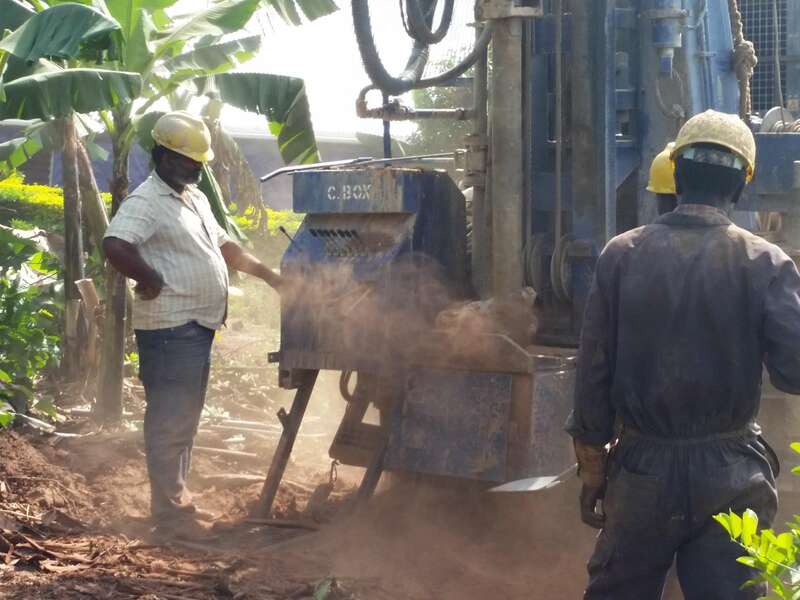 Drilling a well that also includes a solar pump system and tower and tank will maximize the benefit to the ministry and the surrounding community of 700. The ministry will be able to support more livestock and grow more crops, which they can consume or sell. Our funding will also be used to pipe the stored water, via a gravity feed, to access points on the ministry property, including a community access location and a location to draw water for irrigation. 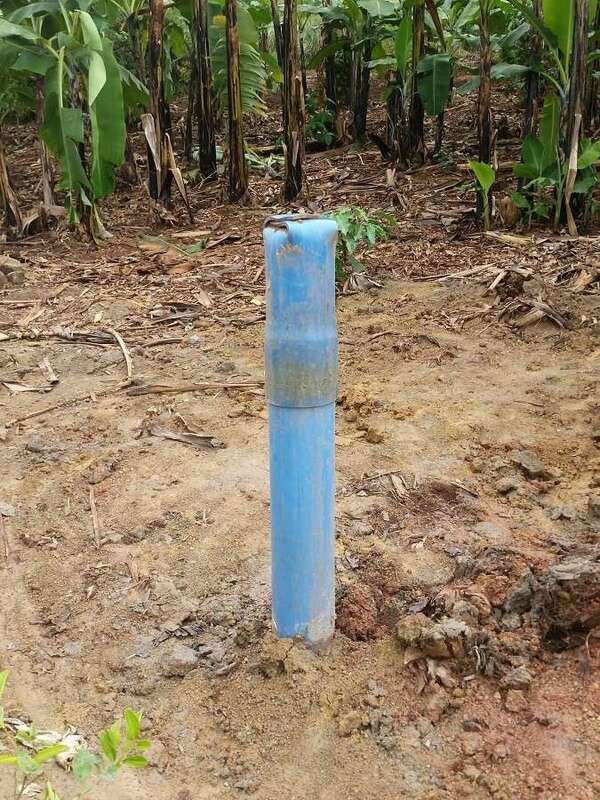 This will allow not only clean water for the inhabitants of the community, but water to irrigate crops (which, in turn, will allow for a healthier diet). 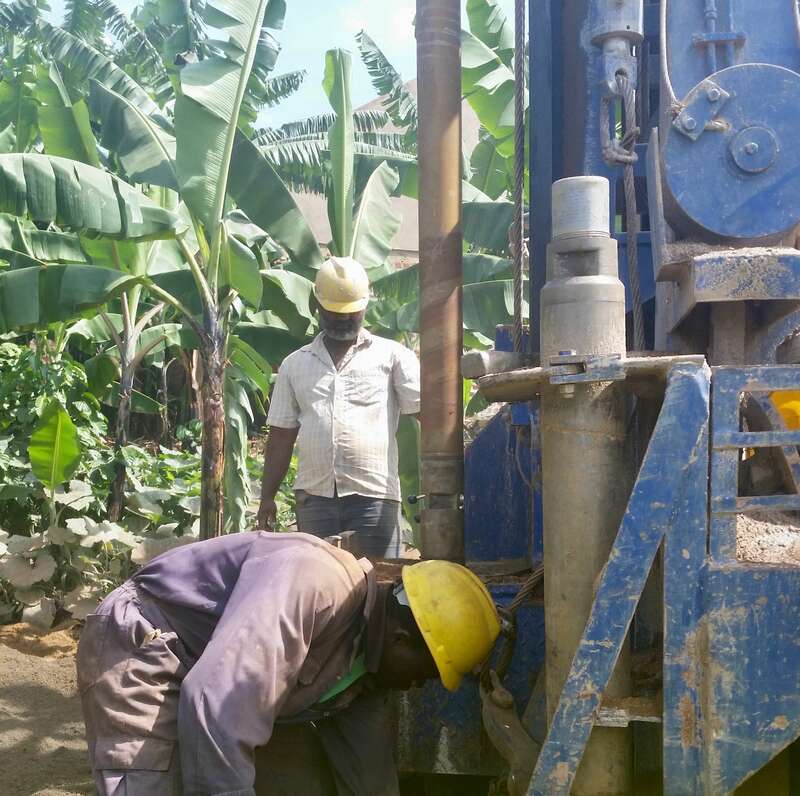 The well has been successfully drilled in Njeru. The water quality is good and has been certified by the government water office, and the well will soon provide clean water. 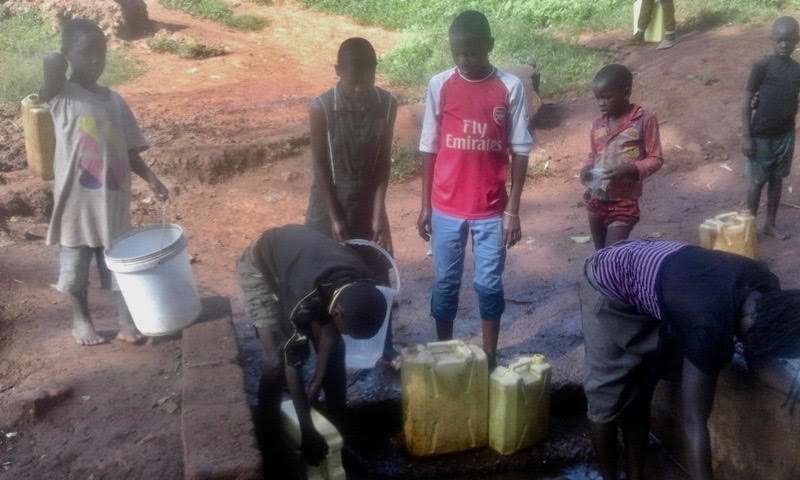 There is much excitement over the well in Njeru and the original estimate of 700 people being positively affected by this clean water source has been raised to 3,000! 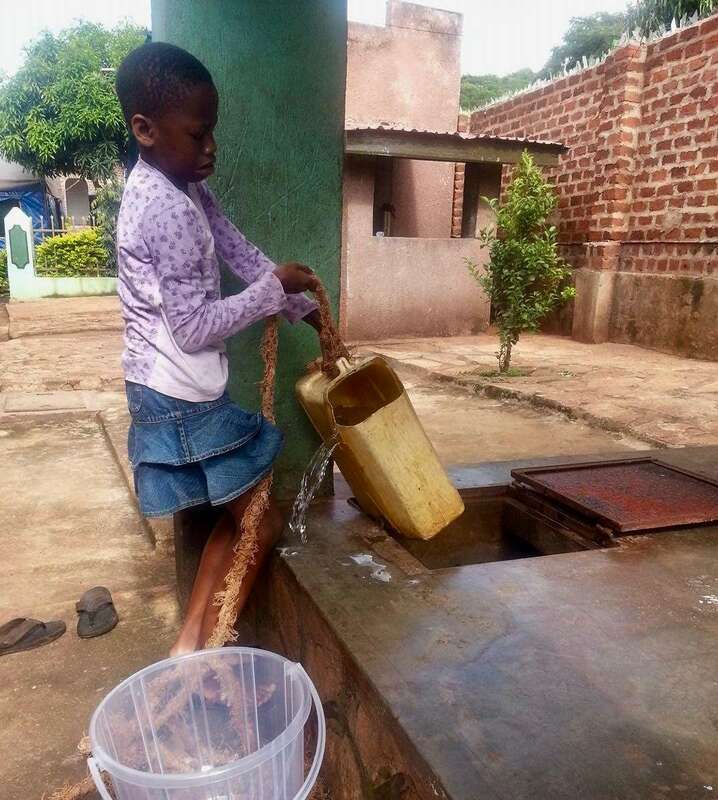 The increased population which we now think will use this clean water source includes school children from three schools, neighboring communities, and people from local churches. 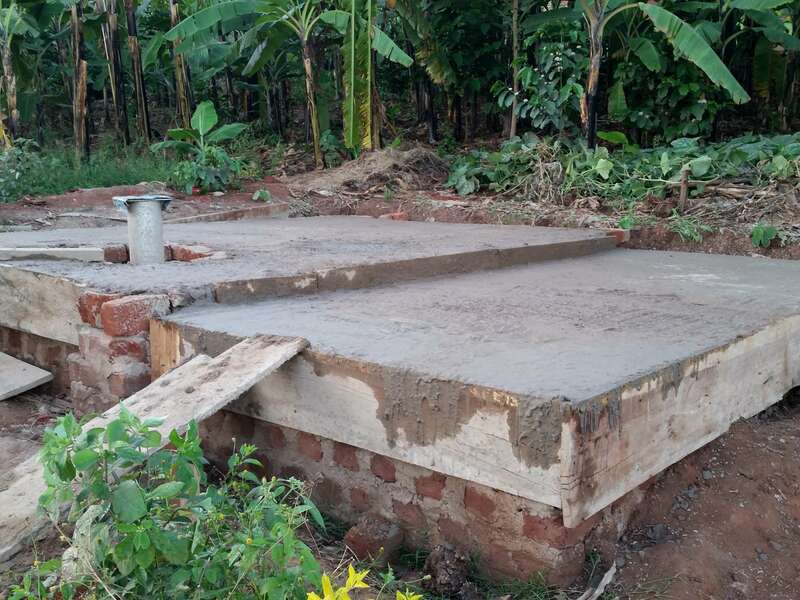 The next step is to complete the well pump and water storage system. Originally, the plan contemplated installation of a solar pump system. 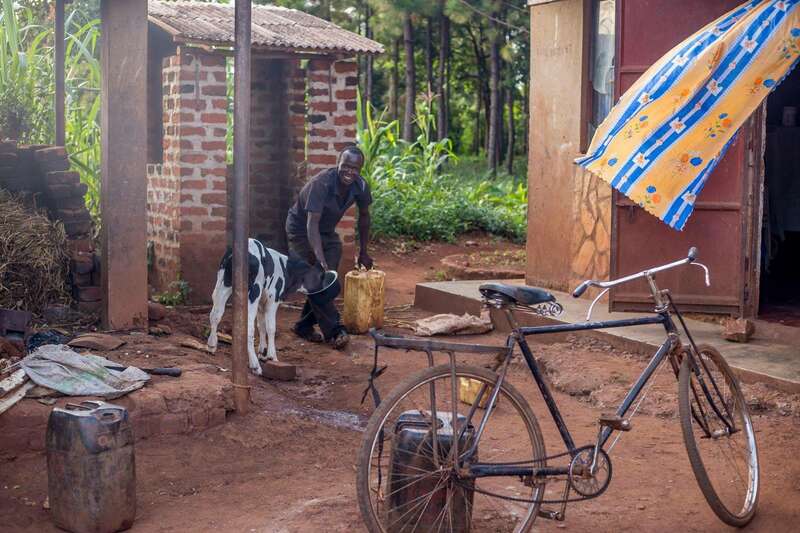 However, the recovery rate for the output of the borehole has caused our partner, Heaven’s Family, to conclude that an electric pump is a better solution. The water storage tank has a 10,000-liter capacity (2,641 gallons). The tower will be 16 feet high and the water will flow via gravity feed to the end water points. With the anticipated demand by the community for this fresh water source, and taking into account the volume and recovery rate of the well, a solar pump (which just pumps during the daytime) will not be as effective as an electric pump that can pump 24 hours a day. The electric pump solution is actually less expensive to put in than the solar pump. 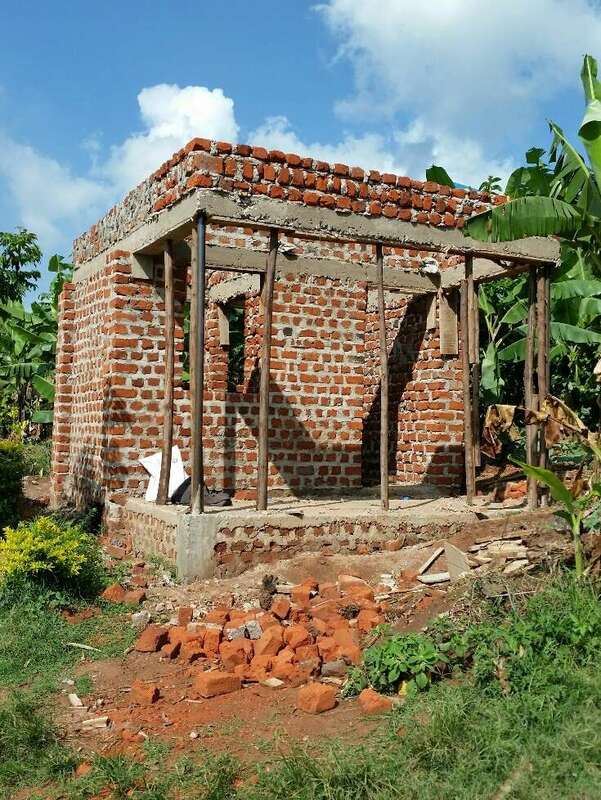 The difference in cost will be spent on some plumbing and a pump house built of brick and block ($1200) to protect the electric pump and serve as a water collection point. The pump house is substantially completed and the water storage tower is in concrete (not yet complete). This project will positively affect so many people…way more than was originally contemplated when this project was proposed. A huge thank you from both Ingomar Living Waters and the people of Njeru Uganda, for being World Changers! The $10,500 project was made possible through the generosity of two World Changer couples who wish to remain anonymous.